President Trump on Thursday expressed doubt about a bipartisan congressional committee’s ability to secure funding for a border wall, just one day after the group met for the first time. “I’ve got you covered. Wall is already being built, I don’t expect much help!” the president wrote, without providing specifics. Trump’s comments could box in Republican lawmakers who are trying to broker a border-security agreement with Democrats in order to avert another government shutdown before the Feb. 15 deadline. Democrats’ opening offer in the Wednesday meeting did not include wall funding, but they also did not close the door entirely to providing money for physical barriers along the border. 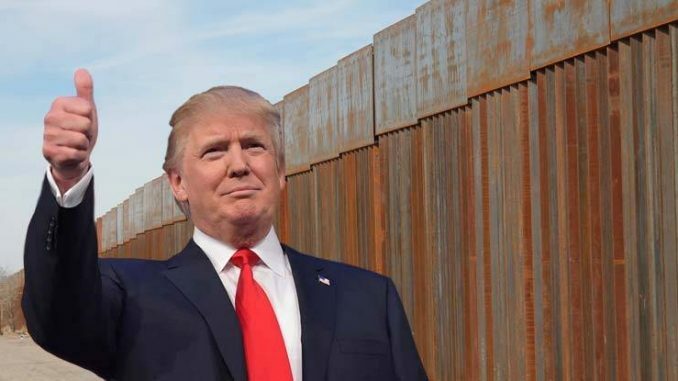 Trump last Friday signed a three-week funding measure to reopen the government in order to buy more time for wall negotiations. But his remarks Thursday indicate he could make good on his threat to declare a national emergency to circumvent Congress and build the wall on his own. The president’s message came after he shifted the terms he is using in the debate over border security. After weeks of downplaying the need for a “wall” along the U.S.-Mexico border, and saying “steel slats” or “fencing” could work, Trump returned to his original demand for a wall. “Lets just call them WALLS from now on and stop playing political games! A WALL is a WALL!” Trump tweeted. “It could be a barrier. It doesn’t have to be a wall,” House Minority Leader Kevin McCarthy (R-Calif.) told reporters earlier in the week.